Pair of clamps (ref 166) 121,00 € tax excl. Double articulation wall arm for lamp 171,00 € tax excl. 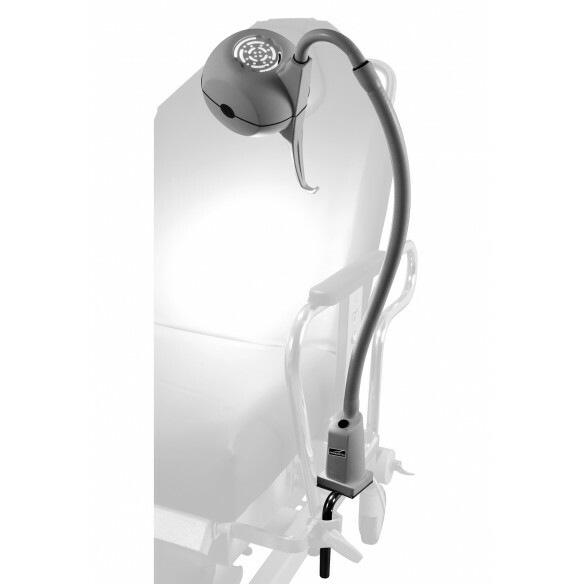 Medical exam lamp support for clamp 79,00 € tax excl. 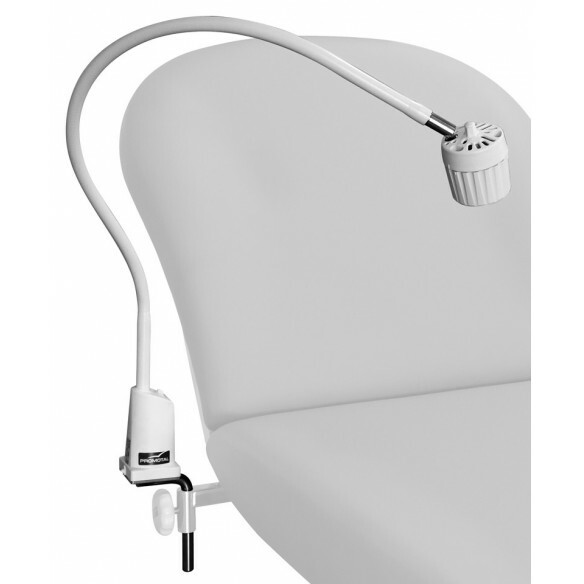 Wall support for medical exam lamp 30,00 € tax excl. Clamp (x1 - Elite & Elansa) 72,00 € tax excl. 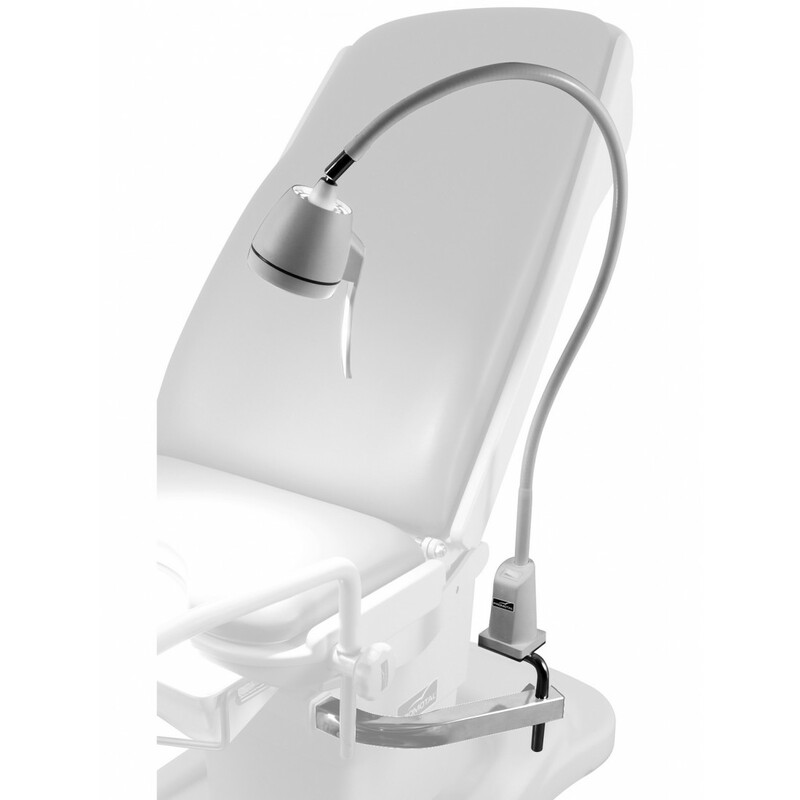 The range of Promotal medical lamps was designed for the medical sector. Efficient and reliable, it facilitates your medical examination. Promotal medical lamps models are easy to use. The LED lamp 4W: Handy and precise, it is typically for routine examinations and deeds. LED technology is characterized by a diffusion of white cold light. It is the ideal solution for versatile doctor whose convenient gynecological examinations. 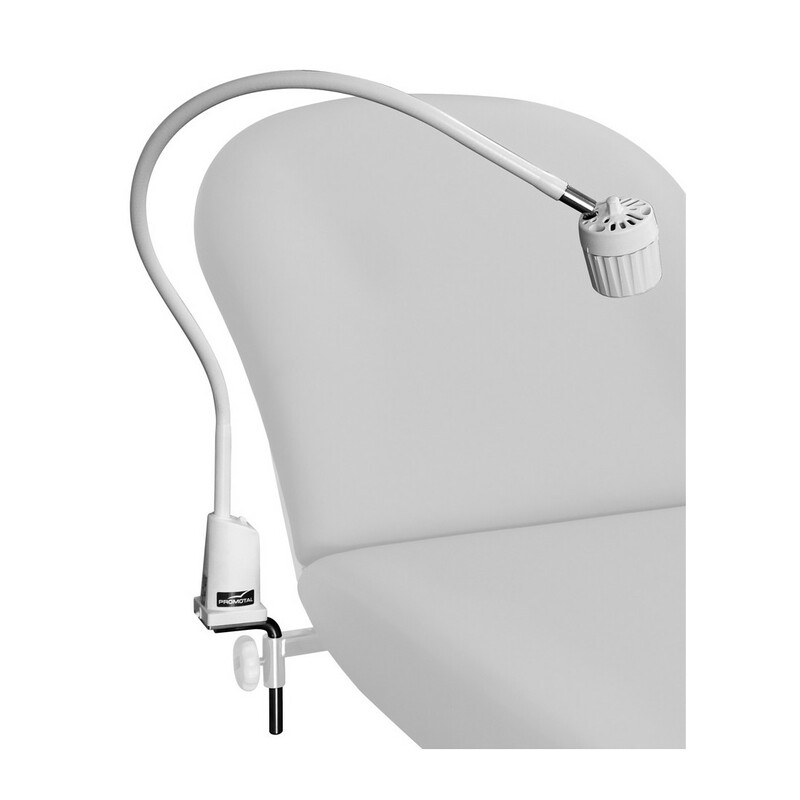 LED lamp 7W: More powerful and more comfortable, the 7W lamp will be more suited to the practice and acts of gynecology and dermatology. Ideal for regular use. All these lamp models are also available without feet. 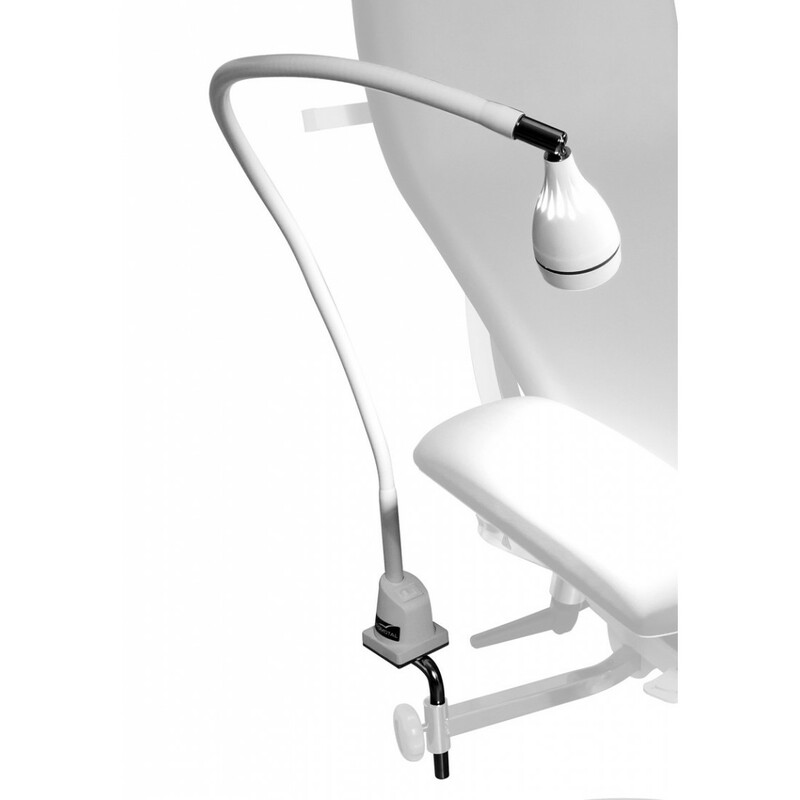 All LED models are available with the contactless switch option to reduce the risk of infection and meet the strict hygiene requirements in the medical field. 7W model is available with a brightness controller for maximum performance during your exam. Models, options, accessories, colours... your Promotal couch is unique. Benefit from Promotal advice to easily choose your medical furniture. Delivery and installation in your consulting room by a specialised Promotal technician. Benefit from Promotal's after sales expertise. Clear and precise, we reply to all your needs. Sure of our quality, Promotal offers the best parts and labour guarantee in the market. Discover a selection of our productsr at your nearest dealer.